We are Going on Hiatus with "Akagami no Shirayukihime"
Update: For now it appears that Mangafox is cooperating with our takedown request. We’ll see how long that lasts….———————————- I’m sorry, but the frustration level is too high right now for AnS. 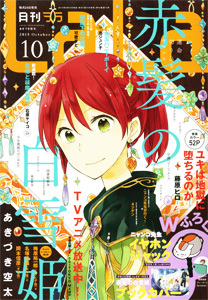 Since the series moved to Lala magazine, the chapter image quality has ranged from crap to beautiful. Chapter 35 is the worst looking chapter EVER and I can’t do anything “magical” to fix it, so it would hurt my pride to release crap because it does no justice to the original work and our group. Also, I’m tired of Mangafox and the stupid people who think they are … Continue reading We are Going on Hiatus with "Akagami no Shirayukihime"